Drive a bike and have a lot of fun! This cool 3D game moves you to the world of racing, drugs and rock-n-roll! Just use arrow keys to move and try not to be in a crash. Just do not stop and drive like a professional! Vanquish this game! Have you ever dream to drive your own cool bike? Take part in the most amazing championship, where you will play the main role. As you have understood, your task is to come first to the finish. Do it perfectly and get some money. Thus you can upgrade your vehicle. Be sure that you will love this 3D game. If you are not afraid of the real speed, then this game is yours. 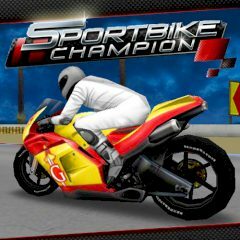 We propose you to become the best racer in the whole world. In this game all your dreams will come true. So, just show us all your driving skills! We wish you good luck!